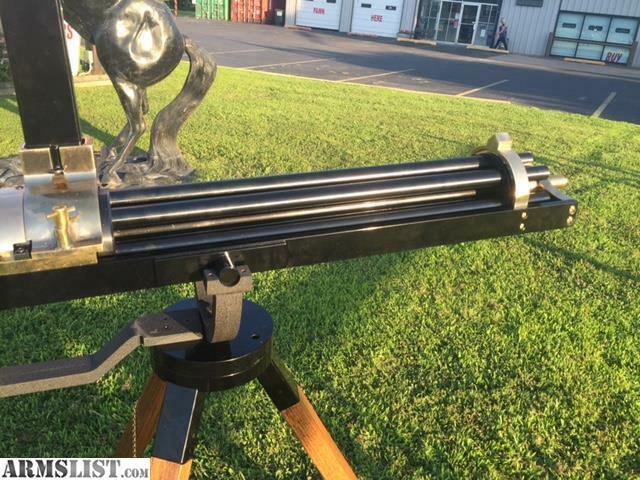 These are Fully Functional Gatling Guns that use MODERN-DAY 45 Long Colt ammunition! 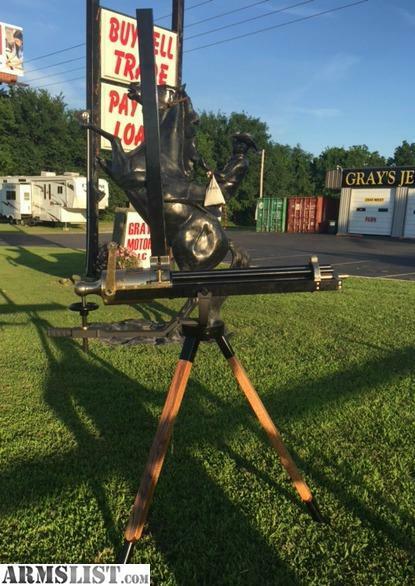 This six barreled beauty comes 'New In Crate', but based on the original Gatling patent. NO Class 3 or special license of any kind is required---(AT LEAST UNTIL NOVEMBER ELECTIONS!) Operates on same principle of semi-rifles--one trigger pull= one shot or in this case, one crank - one shot. This is NOT some cheap version that was cobbled together with a kit. These are professionally manufactured after years of trial and error to give that perfect performance each and every time! Over 200 sold with a ZERO COMPLAINT RECORD! 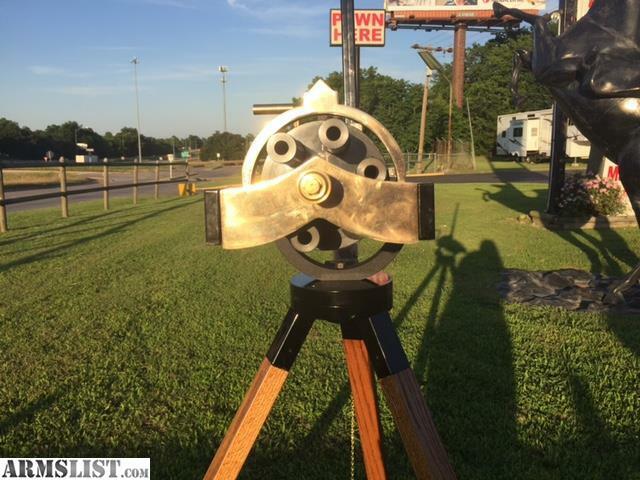 As seen on the Television series "Hell on Wheels'' , Auction Hunters and Storage Wars. NOTHING ON TODAY'S MARKET EVEN REMOTELY CLOSE. 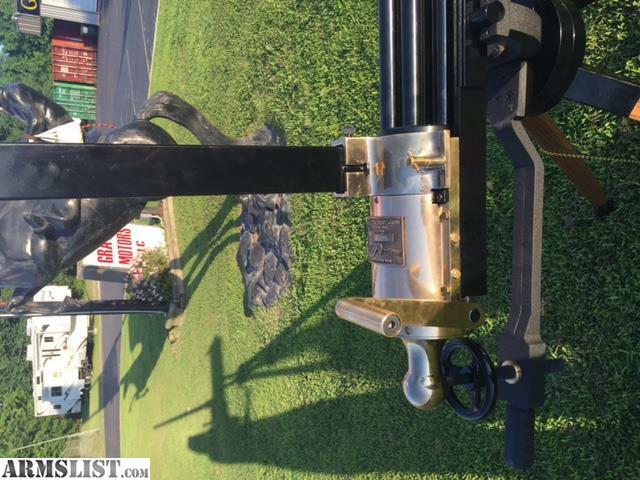 For the low price of $6,995, you get the fully functional Gatling Gun-COMPLETE and ready to operate! This INCLUDES free delivery to your FFL dealer in any of the lower 48 states. 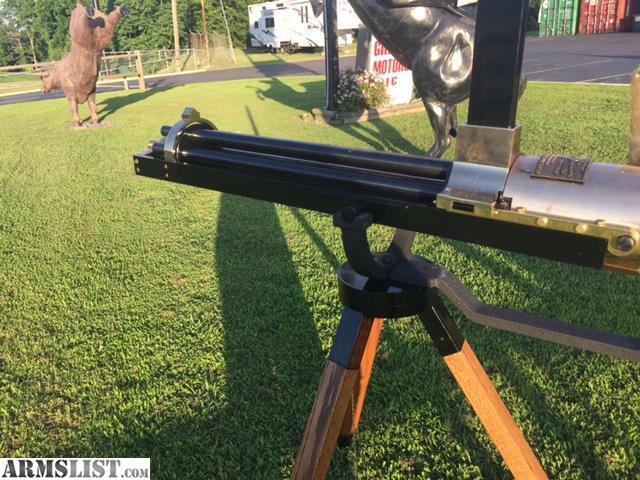 The next closest thing to it is the Colt Special Order Gatling at a cost of $50,000! You have the option of 2-20 round magazines or 1- 40 round magazine ( with additional magazines available at additional costs). Don't ask for different calibers or modifications. This LOW PRICE is maintained through volume purchasing of parts to hold costs down. At 350 lbs and 4 foot in length, this definitely is NOT a conceal-carry weapon. Impress 'em all at the gun range or Rent it out to help defray costs. Lets face it guys-we all want the biggest, 'baddest', toys. Well here's your chance. Big, Bold, & Beautiful! As the Distributor for these Fantastic Firearms, we offer a very accommodating layaway when arrangements are made in advance of purchase. Trades also considered. If we can SELL IT, We'll CONSIDER IT.